Loss of volume in the skin due to environmental factors and the aging process is largely to blame for the formation of certain facial lines and wrinkles. Fillers like JUVEDERM® XC are one way North Carolina women and men can quickly and effectively combat these effects of aging with treatments that take no longer than a lunch break. JUVEDERM® XC Charlotte, NC, patients are battling the effects of age in the amount of time it takes to eat lunch. 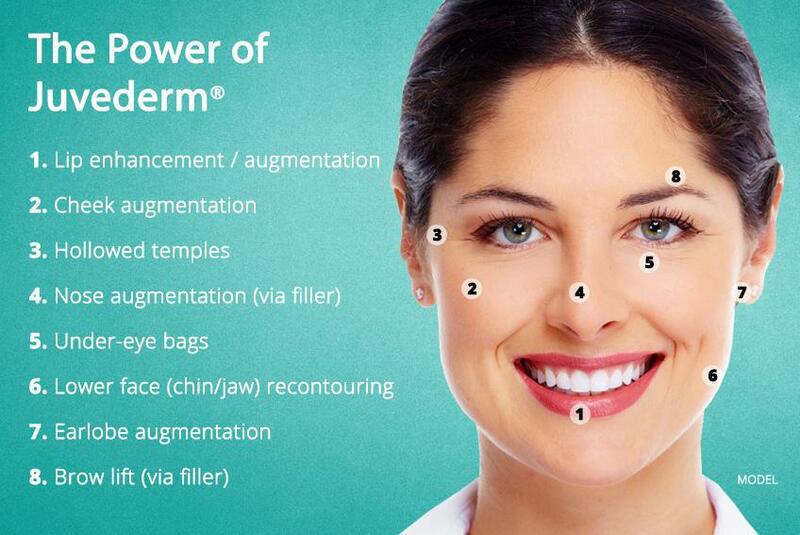 JUVEDERM® XC falls within the classification of injectable fillers, which have risen significantly in popularity in the last decade as demand for quick, effective, and safe treatments continues to grow. While some fillers rely on injections of fat or collagen, JUVEDERM® XC is based on hyaluronic acid: a sugar-based compound the body naturally produces and that helps the skin hold onto water at the treatment site, adding youthful volume to the face. Because JUVEDERM® XC contains hyaluronic acid already found in the body, patients are at a significantly decreased risk of an allergic reaction or other side effects that sometimes occur with filler-based treatment options. Of all the filler-based treatment options patients in Charlotte, NC, can choose, JUVEDERM® XC offers some of the longest-lasting results, with many patients experiencing nine months to one year of improvement. Specifically, this treatment option targets moderate to severe facial wrinkles and folds, including around the nose, mouth, and forehead, as well as the nasolabial folds that form from the nose to the corners of the mouth. The term "filler" is an accurate description of what it accomplishes, since it fills in the furrows that tend to appear with age and adds refreshing plumpness to cheeks. Treatments with Juvederm® products at our Charlotte, NC, area practice are efficient and effective methods to customize and improve cosmetic concerns by correcting lines and wrinkles or filling out particular areas. Besides wrinkle reduction, our Juvederm® treatments can (1) enhance lips, (2) volumize cheeks, (3) correct hollowed temples, (4) augment the nose, (5) correct undereye bags, (6) contour the lower face, (7) augment the earlobe, (8) lift or create an arch for the eyebrow. How Does JUVEDERM® XC for Charlotte, NC, Work? 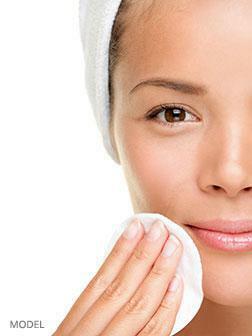 As we age, our body's ability to produce hyaluronic acid diminishes. This is problematic because hyaluronic acid serves a vital function in keeping skin healthy and supple, helping skin to preserve ideal water and nutrient levels. JUVEDERM® XC treatments supply the skin with this key element, restoring the smoothness that faded with the absence of hyaluronic acid. Positive effects of treatment generally last around nine months to 1 year, after which many patients choose to undergo additional treatments to maintain the effects. After an initial session, many patients require fewer syringes to achieve their desired results in that there is some natural collagen production post injection. Am I a Good Candidate for JUVEDERM® XC in North Carolina? Dr. RaminderSaluja is happy to discuss additional methods of rejuvenation such as laser skin resurfacing, or precision laser and microcannular liposuction or facial contouring with Kybella®. Dr. Saluja will also provide treatment alternatives or recommendations for any treatments we do not offer if that is the best solution for your particular needs or goals. Patients with certain allergies or who are pregnant or breastfeeding are not ideal candidates for JUVEDERM® XC treatment and should discuss these concerns, along with any other medical conditions or prescription medications, with their licensed administrator. Patients may experience a brief pinching sensation at the injection site. Dr. Saluja performs her injectables with a microcannula, which adds to the safety of the injection while minimizing bruising. We encourage patients with sensitive skin to discuss this during the consultation, as we have several options for numbing the site prior to treatment. Some patients experience tenderness, swelling, or discoloration at the injection site, although these side effects are minimal and generally disappear within a few days. Anyone currently taking blood-thinning medications such as Ibuprofen or Aspirin should share this information with their administrator, as it may prolong bruising at the injection site. Patients can resume normal activities immediately following treatment, although we encourage them to avoid strenuous exercise, alcoholic beverages, and sun or heat exposure. Most importantly, we encourage Charlotte, NC, women and men interested in JUVEDERM® XC or any other cosmetic or medical treatment to choose a trained, licensed, and experienced medical professional.